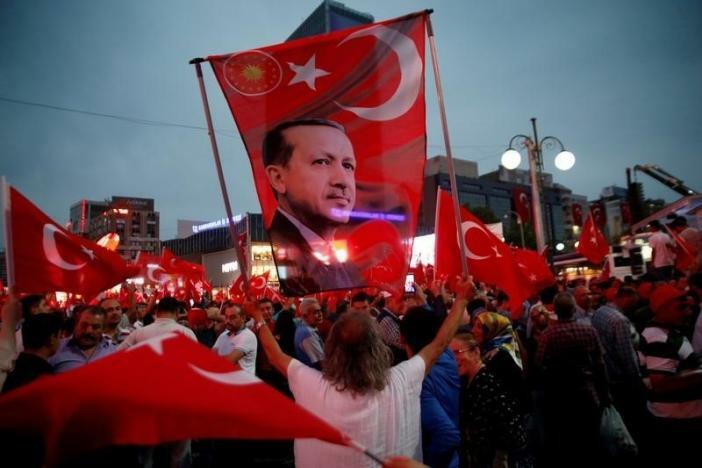 Mayor of Ankara and member of the ruling Justice and Development Party (AKP) Ibrahim Melih Gokcek has announced he would step down from his position after 23 years, as the party leader and country’s president Recep Tayyip Erdogan goes on war against longstanding members. Gokcek on twitter said he would hand over his position on Saturday. ‘’Inshallah,I’ll extraordinarily convene Ankara Municipal Council on Saturday, bid farewell to our Council Members & submit my resignation,” he wrote. He was elected mayor of Ankara in 1994 at the same the time Erdogan was elected mayor of Istanbul. Gokcek will be the fifth Turkish mayor to resign after President Erdogan called for new blood to be injected in the ruling party. Kadir Topbay of Istanbul, Edip Ugur of Balikesir, Faruk Akdogan of Nigde and Mehmet Keles the mayor of Duzce have already resigned. Bursa’ mayor, Recep Altepe is also expected to resign. All these mayors performed poorly during the April referendum on the constitutional change to give the President more power. Erdogan won the referendum with a slim margin and blamed some party’s longstanding leaders for “mental fatigue”. Erdogan in a recent interview noted that he was expecting three mayors to submit their resignations. The Turkish President has suggested that young people of the party are able to run affairs, as he pushes for the party’s overhaul. Gokcek is known for controversial statements and comments. In July last year, he accused the US of involvement in the failed military coup against Erdogan. He on many occasions alleged that US ships anchored off Turkey’s coasts are responsible for generating the earthquakes that plight Turkey, reports say.